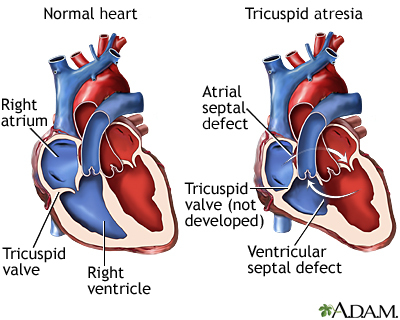 Tricuspid atresia occurs when the tricuspid heart valve is missing or abnormally developed. 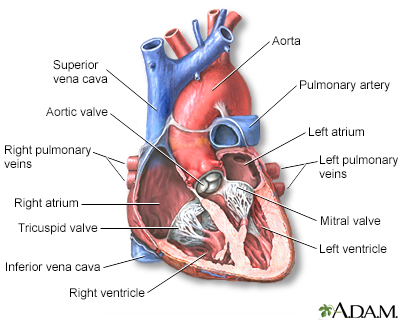 The defect blocks blood flow from the right atrium to the right ventricle. Ultimately blood cannot enter the lungs, where it must go to pick up oxygen.